The talents of Luke Skywalker in a xxl metal poster. 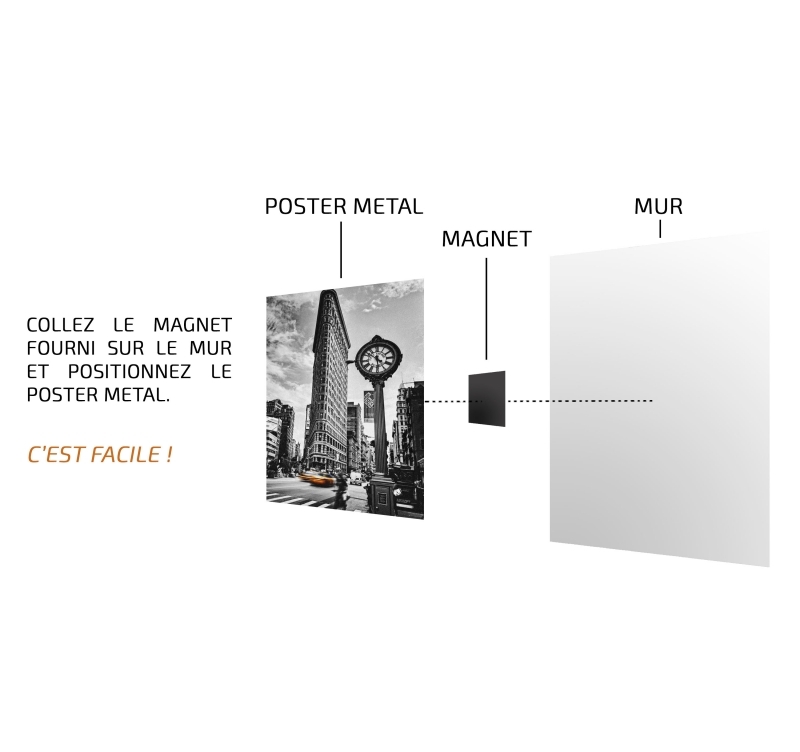 This wall poster from Star Wars comes with its magnetic hanging system. The dimensions of this metal Luke Skywalker poster are 48 x 67.5 cm. 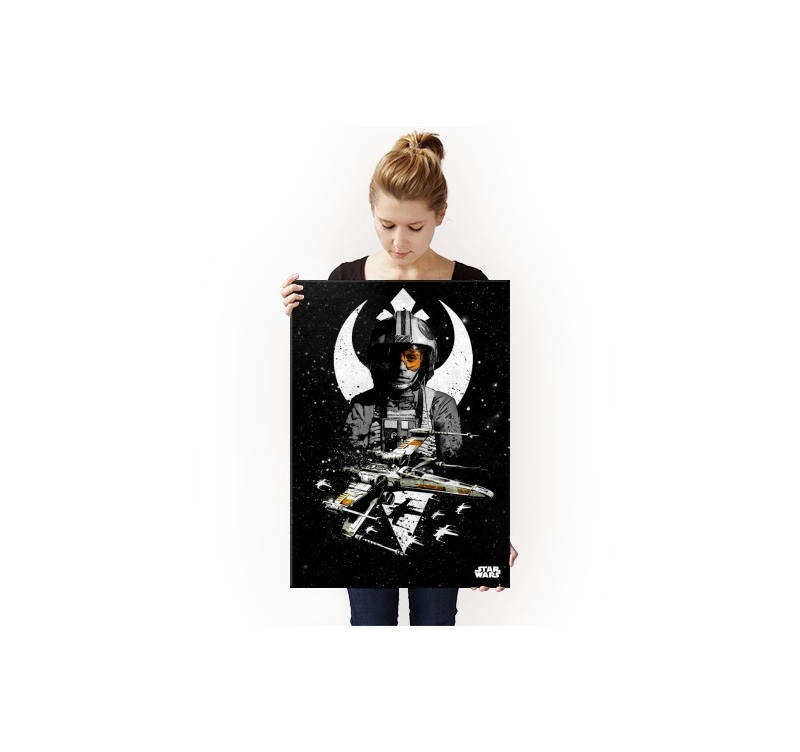 Completely free shipping in Metropolitan France and Belgium for this Star Wars poster. Well known for his Jedi talents, Luke Skywalker is also an outstanding pilot of the Rebellion ! 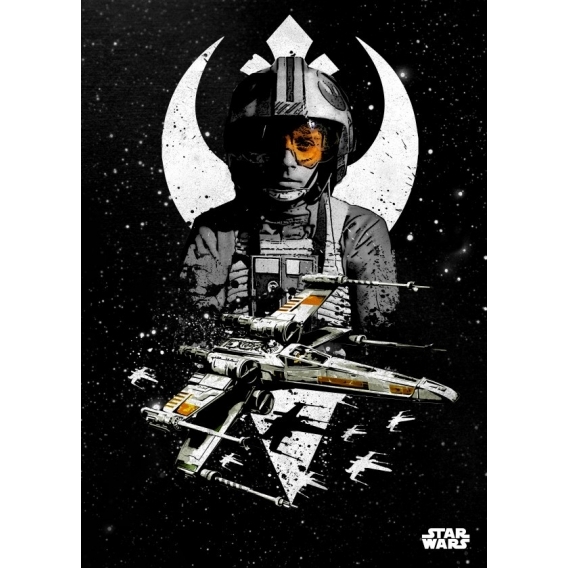 This metal poster puts it in black and white style with the famous X-Wing. The orange touch on the ship and Luke's helmet comes to give a unique touch to all of this work. 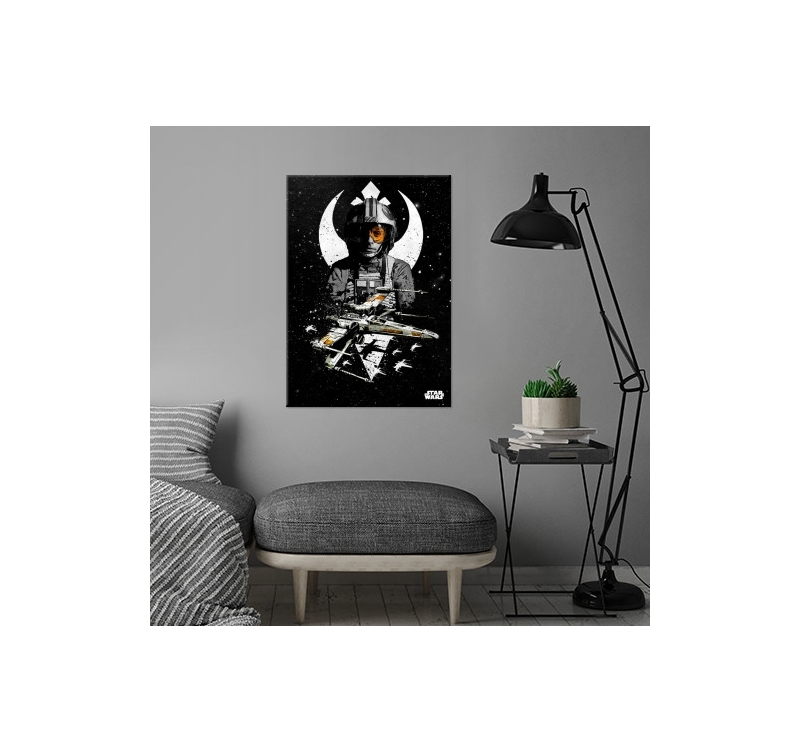 With a unique design by our artist, this wall poster from Star Wars will complete your collection for all fans of the saga ! This metal poster is from our collection of Star Wars collector posters that are signed by our production manager. A hologram is present on the back of this large Star Wars poster to authenticate it and make it a collector's item for your walls. 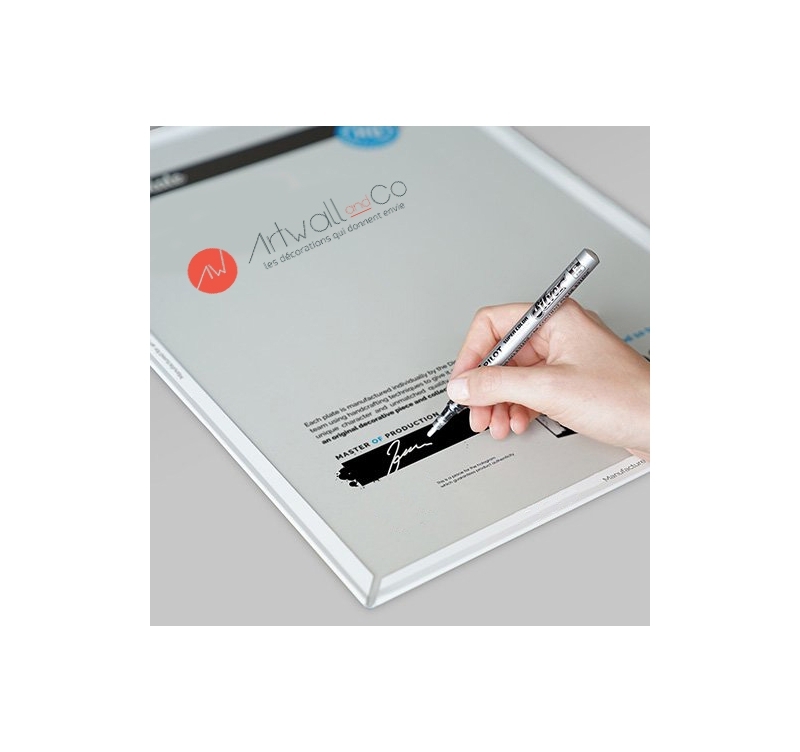 For a very simple installation, a magnetic hanging system comes with this metal poster without the need for holes or nails.